The number one reason I recommend a runner on stairs is safety! The traction gained from a carpet runner on stairs saves pets, kids, and adults from slipping. I usually prefer a stair runner that has texture. Patterns and colors are a bonus, but the texture not only gives more traction, but shows less wear. All in all, most textures and patterns are a bit more forgiving with traffic paths and spills than a smoother solid weave. 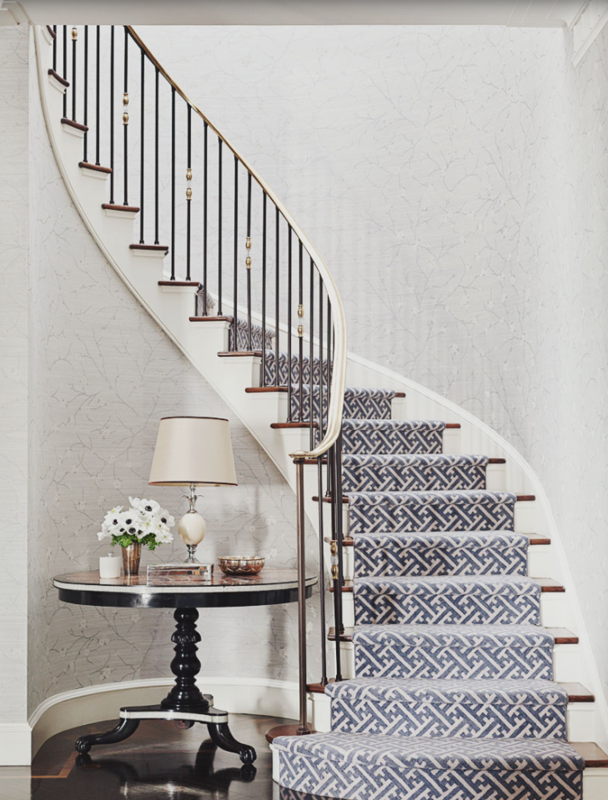 Placing a stair runner down the center while exposing 3″-5″ on each side is the most attractive way to gain the traction!